How to Gala on a Budget! You just can't say no to a gala invitation from your CTO, even if you only have two days notice and absolutely nothing suitable in your closet. This post is for the confused but frugal masses. Learn from my panicked past and be ready for any occasion. I still can't believe I attended a gala [note: it is critically important that you read “gala” in an affected British accent for the rest of the post]. For reference, I do not own any high heels, and my go-to work outfit is black slacks and a button down. I am not a fashion icon. I am a nerdy personal finance blogger, though. Plus, my dog, Fluffster, is very fashionable. 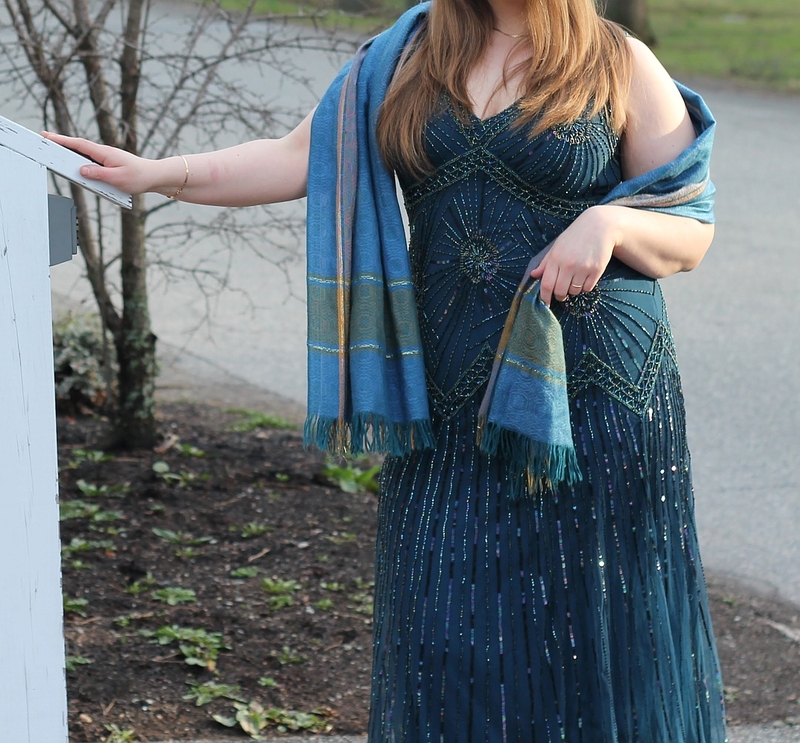 Unlike Fluffster, I had nothing to wear to a gala and had very little time to figure it out. I was invited on a Thursday, and the gala was on Saturday. I guessed I needed a gown? Let’s talk about some common dress codes. Now, I am an engineer, meaning I must over-analyze everything (apparently). The figure below gives you a general idea of what is appropriate to different events, taking inspiration from Emily Post. Note: I’m separating the options here by gender, based on what’s seen as “typically acceptable.” I personally think it would be great to do away with this division, but such is life. If you are a woman rocking a well-fitting tuxedo, that would likely be acceptable (depending on location), though more difficult and likely more expensive to find and/or tailor. If you have a darker suit, whether it was bought for interviews or a funeral, you’ve got your bases covered for all but the fanciest of events. There are just not that many white tie or black tie events these days. The way you accessorize will change for the different dress codes slightly. For a quick tutorial on black tie optional, try this video. Your go-to black tie optional look will be a black suit, black shoes, black socks, black belt, white shirt, and black tie. For semiformal events, think “business formal.” A suit with any coordinating shirt and tie will be just fine. Your basic garments will be an evening gown or a cocktail dress, with the easy distinction being length. Cocktail dresses tend to be just above the knees, whereas evening gowns are floor-length or close to it. Not any dress will do, of course. Oh no, it’s never that easy. By Emily Post standards, a woman can wear an evening gown, a “dressy” cocktail dress, or “dressy” separates at a black tie optional gala. 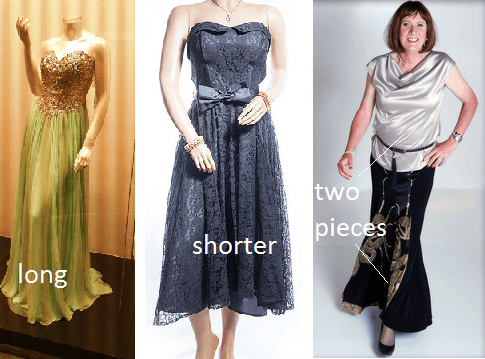 “Dressy” is frustratingly vague, meaning you will want to do event-specific research. Generally speaking, a cocktail dress is fancy enough if it has something different. Big bow on your shoulder? Sounds like a gala dress. 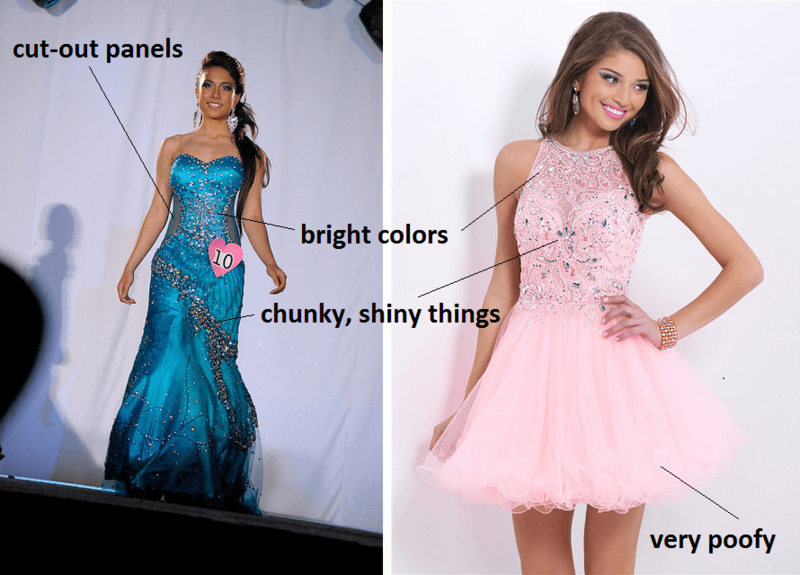 Sequins or beading? Yep, fancy. Full lace back? Nice. Some kind of peplum or other protruding fabric? Thumbs up! Now, for “dressy separates,” this generally denotes some kind of (non business suit) jacket and skirt or pants. It has to be something that would be weird to wear to work – bright, or long and drapey – features like that. The top could also be a generally dressy shirt, like the picture shown above. Bonus points if the pieces look like a dress together. There are a couple additional things for women, especially millennial women, to watch out for. Many evening gowns and cocktail dresses will be low cut or have some amount of skin showing. This is fine to a degree, and there are some more conservative choices if you prefer, but no matter what you need to be prepared. I am talking structurally sound undergarments and fashion tape. Undergarment choice will be very specific to the dress or outfit, and is at least somewhat straightforward. You don’t want bra straps to show, yet you still need to have proper support. There are a lot of weird, fascinating bra choices these days, for all kinds of necklines and body types. If you have no idea what you are doing in this realm, visit your local department store or specialty bra shop and get a fitting and some advice. The fitting should be free, if slightly awkward, and can save you a lot of time. What I tend to do is get a fitting once every couple years if I think my size has changed, buy a bra or two, then wait for sales to buy more of the same online or in the store. “Fashion tape” is an actual thing you can buy, but in many cases you can simply use plain old double-sided tape (you might want to buy something fancier if you are dealing with a delicate fabric like silk). Simply speaking, you tape your clothes to your skin. Or, in some cases, you tape your clothes to other parts of your clothes. Basically, you want to avoid flashing everyone. The things we do for fashion. Sometimes it feels like the only dress choices scream “PROM!” or “AARP MEMBER.” If you want to be very clear that neither of these terms apply, the safe choice would be something darker and “timeless.” Bright pinks and poofy skirts might make you look a lot younger than you want at a work function. You do not want to be the only one in a cocktail dress in a room full of evening gowns. If at all possible, try to look up photos from previous years to get a sense of how people dress. Also try reaching out to friends who have attended, or simply ask the organizers. For my gala, I was able to easily find photos online, where I saw a sea of evening gowns from last year. If you are in desperate need of something, anything, then you can go to a department store (or a suit store) and likely find options. If at all possible, you’re going to want to think about one of the other choices listed below first to save money. Retail price for a decent suit starts around $250-$300, and you can expect to pay an additional $50 or so for tailoring. For dresses, quality and prices are all over the map. You may be able to find some great options for under $100, but you are likely looking at $100-$300. On top of this, you might also need tailoring for $20-$60. The savvy shopper can, of course, buy something for well under retail price. You can get some great deals on “prom dresses” near the summer, right after prom season. At least some of these dresses are likely appropriate for adulting at a gala. The day before the gala, I went shopping at the mall during lunch and then immediately tried to unload my ticket to another unsuspecting millennial. I was unsuccessful in both pursuits. While at the department stores, it was not so much the inability to find anything to wear, but the price point. For $200, a dress better be transformative. It should make you feel like a goddess. While I was able to find dresses that technically worked, I couldn’t bring myself to actually pay that much for a dress I did not like. It was time to get creative. Reduce, Reuse, Recycle (warning: very cheesy song). If you have something in your closet that works but doesn’t quite fit anymore, or that fits but doesn’t work anymore style-wise, definitely think about taking it to a tailor or altering it yourself. You might be surprised at how a bridesmaid dress transforms, or how a…whatever this was…turns into a beautiful gala dress. There are so many tutorials online that will show you step by step instructions if you just use the right search terms. Something like “bust alterations tutorial” if there’s gaping or too much stretching, or “how to take in an evening gown” for a more form-fitting silhouette. Unfortunately for the suit-wearers, alterations can get pretty tricky and probably should not be attempted at home unless you’re already very skilled at sewing. My closet did not have anything with reuse potential, at least not with two days notice and limited skills. If you do not often go to formal gatherings, renting an outfit is a very reasonable choice. Afterall, you don’t have to worry about dry cleaning or moths eating your fancy clothes, and you don’t have to alter anything if you are a different size the next time there is a fancy party. If you likely won’t be attending another formal event for at least a couple years, renting can make sense. Renting tuxes is exceedingly easy – just do a search for stores nearby. You can also rent suits, but these tend to be targeted more towards weddings and are thus fairly expensive. If you rent a tux targeted more towards prom-goers, you’re going to get a price more like $45 versus $150. Renting dresses is becoming much more popular these days. Rent the Runway, for example, allows you to rent fancy dresses by mail (more options here, including a UK brand). Looking online now, you can expect to pay $35-$150 (average $86 according to them), plus $10 shipping and $5 insurance (in case of spilled wine!). With two days notice, renting was not in the cards for me. After coming back from lunch on Friday, the day before the gala, I reached out to a friend of mine for consolation and advice. Apparently, not only are we the same size, but she has tons of dresses. Formal dresses. Dresses I could borrow. This is not guaranteed to work, and it’s not 100% free of cost (you’re almost certainly going to want to dry clean what you borrow, and anything beaded gets expensive ~$40 for me), but oh wow is it a great feeling when it works out! Now, I felt pretty good on the day of the gala. So good, in fact, that I made it part of my small talk repertoire when anyone complimented my dress. Nice Middle-Aged Lady (NMAL): Oh, your dress is gorgeous! Me: Oh, thanks so much! I’m borrowing it from a friend. I only had a couple days notice, so I’m so glad I was able to find something that worked. I really didn’t want to spend $200 on a dress that was so-so. NMAL: Want me to tell you a secret? NMAL: [nearby consignment store]. All the women here shop there. Unlike thrift stores or charity shops, consignment shops are a little more discerning. Not only will you be fairly certain a dress or suit is free of stains, they will also be more likely to have a selection of gowns for galas. Now, not any old consignment store will work. There are some stores nearby in more “hipster” places that would be great for pre-ripped designer jeans at half-off retail (still a ridiculous price), but they would simply not be the place to look for evening gowns. The selection would be as disappointing as the price. You are going to want to be on the lookout for consignment stores in rich people suburbia land with likely limited hours of operation and little to no signage outside. Online reviews are your friend here. Do people talk about the amazing selection of designer gowns, or about the amazing prices? By this point, you’re an expert. You know how to dress, and where to go for the best prices. Before immediately jumping into buying something appropriate, you know to shop around and see if you can borrow, rent, or buy something second-hand. 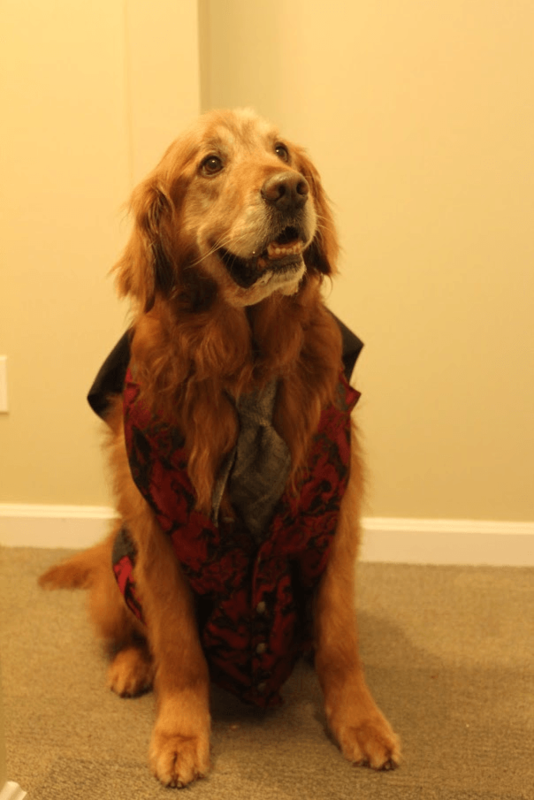 Do you have any formal wear horror stories? Any upcoming events you need to prepare for? Let us know in the comments! Felicity writes about saving money, spending money, and happiness at her blog Fetching Financial Freedom. She and her husband Fergus cater to Fluffster’s every whim in the Boston area and are still somehow planning to reach financial independence in three years at the ages of 29 and 35. I guess as a guy my options are little more straightforward and easy to decide. I’m thankful for that, but I would have a tough time fitting in at gala nonetheless. Of course I make tuxedos look fantastic 🙂 , but just not my scene. This is a very helpful guide though for that one day that I may be invited to a gala, thanks! You never know, right? I’ve never been to a gala but I have been to formal events where I had no idea what to wear! I was surprised with how normal the people at the gala seemed. A little pushy about getting us to attend more of their events…but super nice and not stuck up at all! My fiance loves Rent the Runway. I’m not sure yet, but I think it is ultimately a price saver – she uses it for a lot more events than I think she would buy something for, but if it saves her from buying something just a couple times it evens out. That sounds pretty cool – I’ll have Coral check into this! I love thrifting, but it is time consuming. How do you guys pronounce ‘gala’ then – I’m intrigued?! I love American blogs 🙂 this is really handy, I want to go to a gala now though! I always rely on trusty ol’ eBay. Haha, I don’t know why, but I cannot say “gala” with a straight face, and apparently that means I have to switch to a posh British accent! Ah, eBay! I feel like that must take a bit of know-how to make sure the measurements will work out? It seems like I’m always a different size, depending on the brand. I only buy things that I know my size in, so stores that I would usually buy from anyway. Ah, that makes a lot of sense. I might need to check on eBay next time I’m in the market for clothes! Ha I don’t know if I actually say “gala” correctly anyways – it probably sounds MUCH better with a British accent. I really need to hear you guys pronouncing it now!